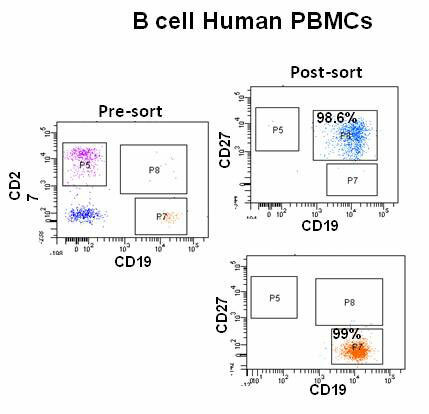 B Cell Human PBMCs: Different subsets of B cells were purified by sorting. These cells were used for downstream functional assay with CD4+ helper T cells. 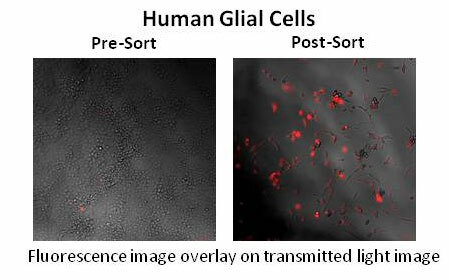 Human Glial Cells: Human Glial cells with expressing aquaporin (in red) were sorted. 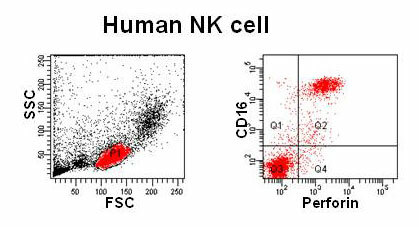 Human NK Cell: Human Natural Killer cells showing expression of perforin.